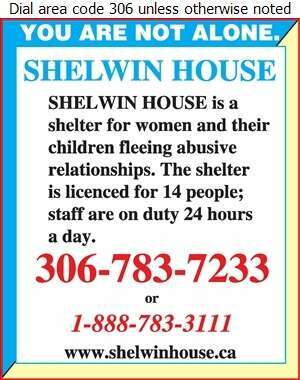 SHELWIN HOUSE is a shelter for women and their children fleeing abusive relationships. The shelter is licenced for 15 people; staff is on duty 24 hours a day. Families may call or arrive at any time.